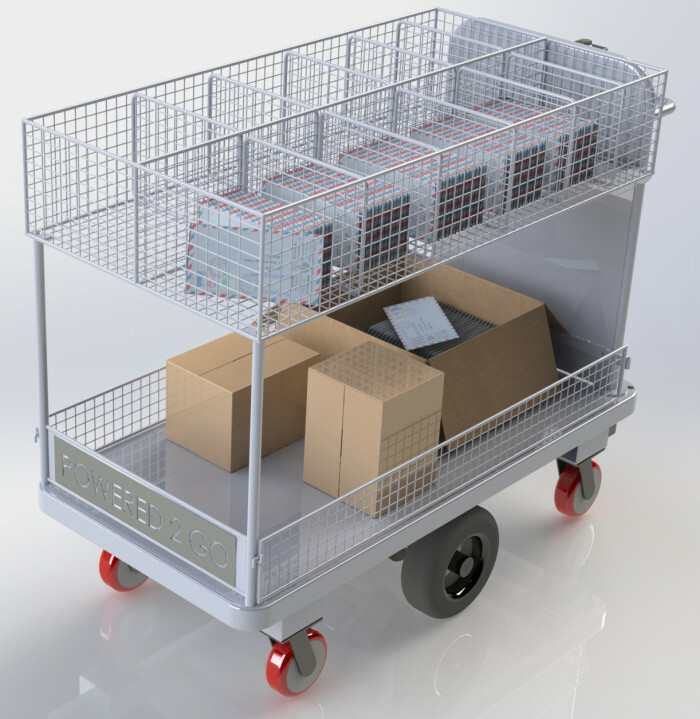 One of Warequips most popular Prestar Trolleys is the NFMAIL10 mail trolley. It has serviced the Australian market exceptionally well for years, but as the workforce ages and OH&S laws are tightening it was time to develop a powered version to reduce the risks. We based the Mail Trolley on another popular product of ours Turnmate. With the Turnmates awesome manoeuvrability and the layout of the Prestar trolley we think it’s the perfect solution, you can even move more mail now than ever before with less effort.